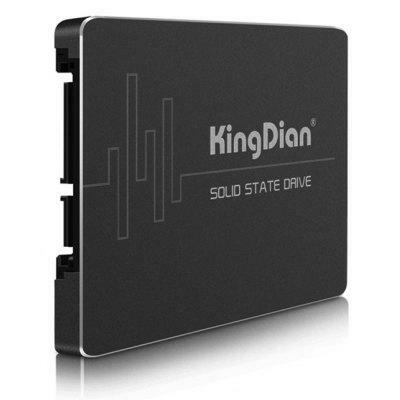 Original KingDian S280-240GB Solid State Drive 2.5 inch SSD —- online at $74.99 with this coupon code: Flash Sale and please note that if it is a flash sale, or special offer ends, the price may be a little different! Check Price and More! This SSD is fully consists of semiconductor devices using NAND Flash Memory which provides high reliability and high performance for a storage media. The SSD doesn’t have any moving parts such as platter (disk) and head media, it provides a better solution in a notebook PC and tablet PC as a storage device providing higher performance, reduced latency and a low power consumption.